Patiala to Delhi cab: Travel by 1313 taxi and enjoy professional Patiala taxi service. We are an established tour and travels company working with a motive to deliver the customers fully convenient and affordable taxicab services. Moreover, we are fully experienced to conduct long-route tours. Among the variety, our Patiala to Delhi cab service is also quite popular. At 1313 taxi, we offer the visitors to visit their favorite place right from their home. 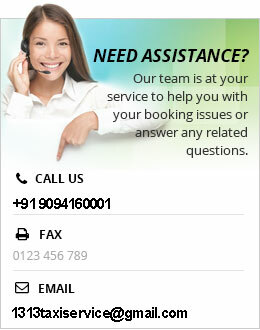 Our customers can contact us at +919216041313 for vehicle booking purpose. 1313 taxi responds immediately to the orders. Further, our agile and diligent drivers are the key persons for us. They are the most experienced team of the industry to serve you with outstanding assistance. Similarly, our destination experts will also provide you a professional assistance to make your Patiala to Delhi tour fully comfortable. It will be fully wastage of time, if you will hunt for other option rather than us. We assure you will enjoy a harmonious and hassle-free journey with our Patiala to Delhi Cab service. Today traveling has become a fashion in the society we live in. Correspondingly, it also has grown up as a daily need. People prefer to hire a taxi or cab rather than their own convenience. They have either a business trip or a personal trip. People consider hiring a taxi better option. Internet exits everywhere. Likewise, the internet has made it easier to explore distant destinations around the world. Now our visitors can also book their vehicle with us over the web. Customers just have to go through browsers’ tabs or apps for the purpose. They need to just type online Taxi booking in Patiala and that’s all on their part. 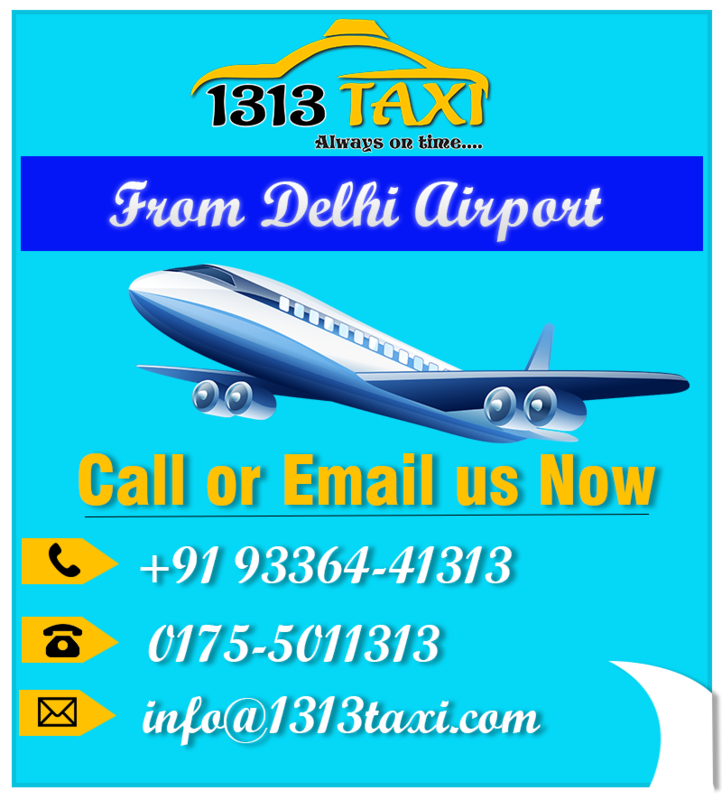 At 1313 Taxi, we have pick and drop taxi service in Patiala. It is always ready to pick you up from your source at any point of time. We are well-defined, well-established and experienced in the taxi service field from a last number of years. Similarly, we are serving the visitors with full of quality Patiala to Delhi cab service to the great extent. The best and appreciating thing on our part is to provide you taxi stand in Patiala online. Whenever you search for the keywords Patiala to Delhi cab, you will find us at the top. We deliver quality Patiala airport taxi service. Ultimately, it helps us to boost up the loyalty and creditability in the market. Just contact us and make a way to the airport with our quick airport taxi service. Moreover, 1313 taxi has the best team of professional and well-experienced drivers. They always behave well to the customers. In addition, they are soft-spoken and considering their duties the topmost one. Our drivers are punctual and dedicated. They strive hard to take customers to their desired destination within time frame. 1313 Taxi have experienced the top positions in the travel and tourism field. Accordingly, our one-way taxi service in Patiala has earned us the tag ‘best taxi service in Patiala’. Our one-way taxi service in Patiala and Patiala cabs are the recognized and distinguished services. Similarly, people going to Delhi always prefer to book their vehicle for a single side journey. At 1313 taxi, we are delivering this feature without charging extra charges. All these things collectively rank us to the top in the taxi services.